(Kutztown, PA) – Well known for their Farming Systems Trial, the longest running comparison of organic and conventional grain production in North America, started in 1981, Rodale Institute has launched its produce companion. Known as the Vegetable Systems Trial (VST), the new research project, partially funded by the Pennsylvania Department of Agriculture, is a long-term side-by-side comparison of biologically-based organic and chemically-based conventional vegetable production systems. Throughout the month of May, a variety of crops have been planted for the first time in this trial. The goal of this project is to develop economically viable vegetable production systems that improve soil, plant, human and planetary health through the application of regenerative organic management techniques. The VST was inspired by the ongoing debate of whether or not organic crops are more nutritious than conventional crops. “Over the last 50 to 70 years, research has shown that the nutritional quality of crops has declined. We think that using regenerative organic methods that focus on soil health will improve the nutritional quality of the crops,” said Dr. Andrew Smith, Research Director for VST. In this trial, the specific crops grown will be potato, butternut squash, lettuce, green beans and sweet corn. In addition to comparing organic and conventional management, the treatments are further split between tilled, black plastic mulch plots and reduced tillage plots. Herbicides have been applied to conventional reduced tillage plots. In the organic reduced tillage plots, researchers wait for the rye and hairy vetch cover crop to reach the critical stage before rolling and crimping, which creates a weed barrier prior to planting. Plastic mulch plots were tilled with a moldboard plow that inverts the soil to bury the sod and cover crop so they do not interfere with plastic mulch. For potatoes, reduced tillage plots were chisel plowed, a form of plowing that reduces compaction and allows cover crop residue to remain on the soil surface before plots are prepared for planting. In the organic system, green manure and natural fertilizers are used. The conventional system uses standard salt-based fertilizers, such as urea and potassium chloride. Additional fertilizer will also be applied through drip irrigation lines. The VST, similarly designed like the Farming Systems Trial, will provide data comparing the nutritive quality of organically grown produce and investigate the human health benefits of eating an organic diet. “As humans, our natural immunity is what keeps us from getting sick. The same thing is true with plants. When a plant’s natural immune system is boosted and growing healthily, it can defend itself against insects and disease,” Smith said. The intention of this project is to monitor soil health, vegetable nutritional quality, environmental impact, agroecosystem resilience, and the economics of vegetable production over time while assessing how management practices directly or indirectly affect human health. “We want to bring all groups together including organic and conventional growers, and understand what can be done to improve the health of the soil which we believe will impact the health of humans and the planet,” Smith said. For more information and updates about the Rodale Institute VST project, visit RodaleInstitute.org/our-work/vegetable-systems-trial/. 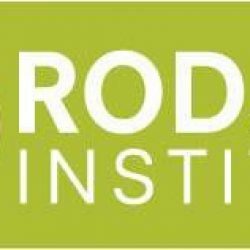 Rodale Institute is a 501(c)(3) nonprofit dedicated to pioneering organic farming through research and outreach. For seventy years, the Institute has been researching the best practices of organic agriculture and sharing findings with farmers and scientists throughout the world, advocating for policies that support farmers, and educating consumers about how going organic is the healthiest option for people and the planet.